This post contains affiliate links which means I earn a small commission if you buy through one of my links at no extra cost to you. Moving to Australia is HUGE. I know how easy it is to waver when you’re working your way through all of your jobs. I personally found it really helped to read about the country as it spurred me on and kept reminding me why we were going to all of the effort and expense of migrating to Australia! Even if you don’t have plans to do much travelling initially, you should still aim to buy a couple of travel guide books as they are packed with useful information and over time you will use them as you get settled and start to take holidays. My two main favourites by far are Lonely Planet Australia and the Rough Guide to Australia. My Rough Guide is actually in many pieces now because I’ve had so much use out of it over the last few years. I think it’s time I treated myself to a shiny new one! 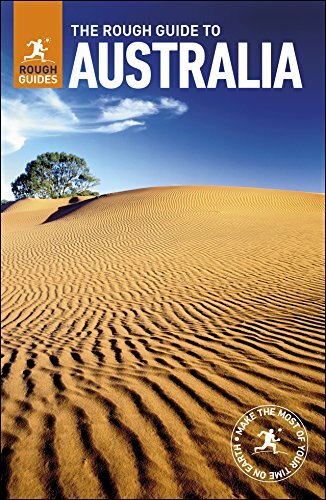 Get the latest prices for the Rough Guide to Australia on Amazon. 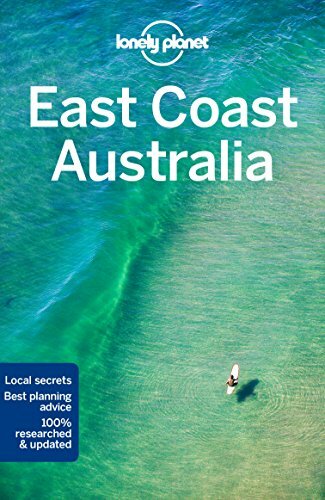 If you already know which part of the country you’re moving to, you could buy a more specific regional book like the Lonely Planet East Coast Australia or West Coast Australia. This can help you plan day trips or short weekend breaks when you arrive – it’s important to make sure you get out and explore your surroundings! >>Check out the latest prices for Lonely Planet East Coast Australia on Amazon. 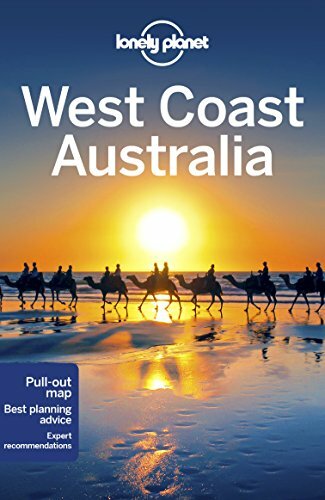 >> Check out the latest prices for Lonely Planet West Coast Australia on Amazon. 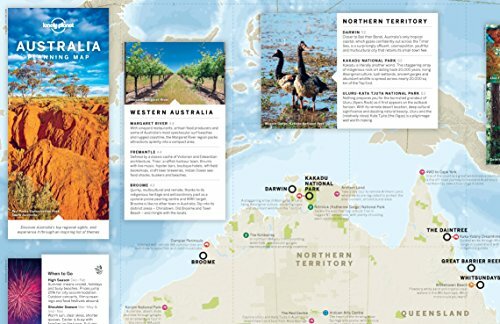 A great map like the Lonely Planet Australia Planning Map is handy as it helps you get your bearings and is useful for showing your kids where your new home is in relation to the rest of the country. Buy it now from Amazon. 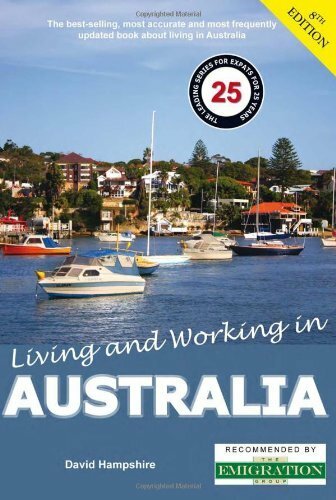 Living and Working in Australia is a classic migration handbook that walks you through the process of moving to Australia and getting settled. I found it handy as a reference so I could look up different stages rather than reading it cover to cover (as I found it all a bit overwhelming!). Check out the latest prices of Living and Working in Australia on Amazon. 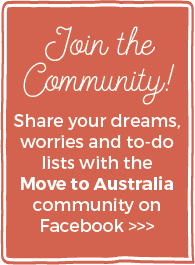 The Moving Overseas Checklist, Planner and Journal looks like it would be a useful tool to use alongside my Ultimate Emigration Checklist to help you keep on top of your tasks. I wish I’d seen this when we were moving as I’d have been all over it! Get yours here. I think it’s so important to use a great planner to help you to get where you want to go. A diary and calendar system that feeds into your to-do lists is the best way to get things done. Check out this post about designing your life plan where I reveal the annual planner that I use to help me reach my goals. 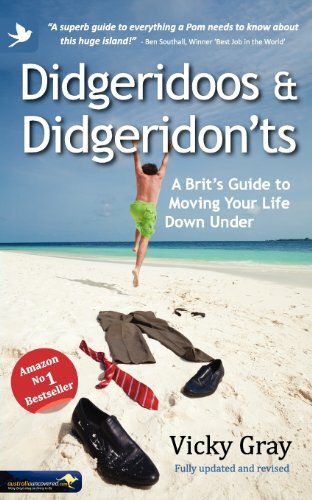 Didgeridoos and Didgeridon’t: A Brits Guide to Moving Your Life Down Under is a really fun and easy read plus it is packed with useful information. 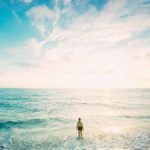 It helped reaffirm to me that moving abroad wasn’t crazy and that our dream life really was waiting for us and other families like ours had done it before and succeeded! Get your copy here from Amazon. 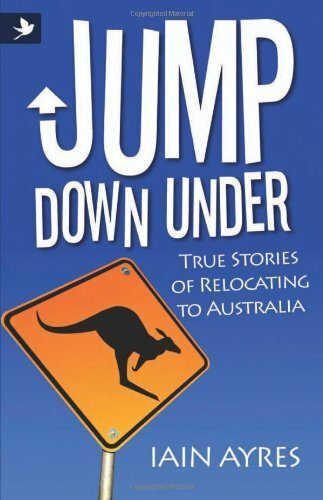 Another good one was Jump Down Under: True Stories of Relocating. I love reading stories from real people in their own words (I used to always flick to the real life stories in Australia and New Zealand magazine! ), so this was a great read while planning our move. Check out the latest prices for Jump Down Under on Amazon. Check out my recommendations below, and also hop over to this post which lists more books about wildlife in Australia for kids to help educate them for the move. 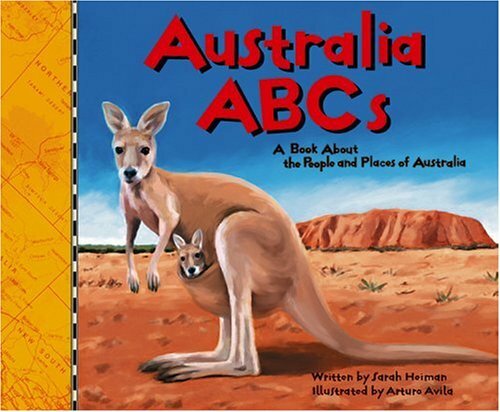 Australia ABCs: A book about the People and Places of Australia is aimed at 5 – 11-year-olds and is a lovely picture book to introduce your kids to their future home. Check out prices of Australia ABCs on Amazon. 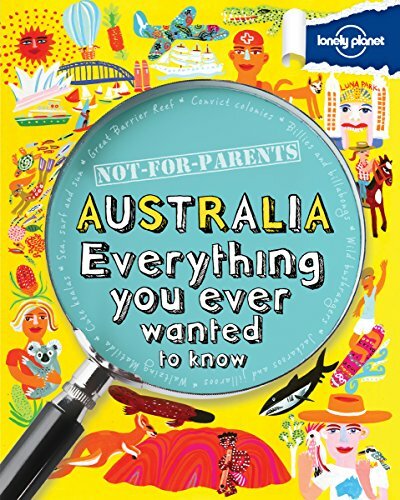 Not for Parents Australia: Everything You Ever Wanted to Know (Lonely Planet Not for Parents) is a fun read for over eights. It’s full of interesting little facts and gives kids the chance to do some of their own research and feel like they have some control over things without parents getting involved.Find out prices for Not For Parents Australia: Everything You Ever Wanted to Know (Lonely Planet Kids) on Amazon. 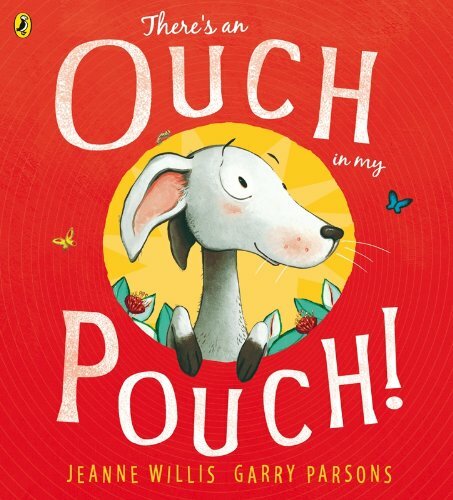 Our personal favourite is There’s an Ouch in my Pouch! . We read it to our four-year-old twins on repeat before we moved and for the past two years it has been our daughter’s favourite book too. If you enjoy rhyming stories like The Gruffalo, then you will love this (my husband and I often burst into recitals of this at random moments as it has become such huge part of our lives over the last three years!) Buy There’s an Ouch in my Pouch! on Amazon. 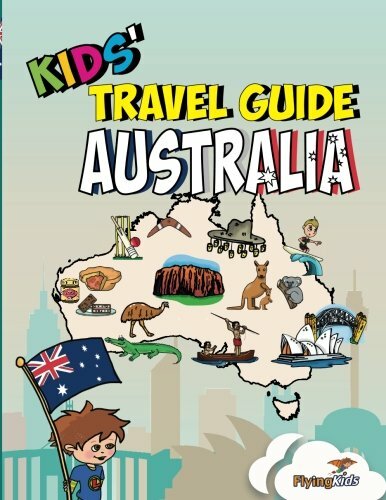 The Kids’ Travel Guide – Australia: The fun way to discover Australia – especially for kids: Volume 33 (Kids’ Travel Guide Series) is another illustrated guide that tells your kids everything they need to know about their new home and it has lots of tasks to get involved in too like colouring and quizzes (so it’s handy for the plane journey too!). Get the latest prices on Amazon. 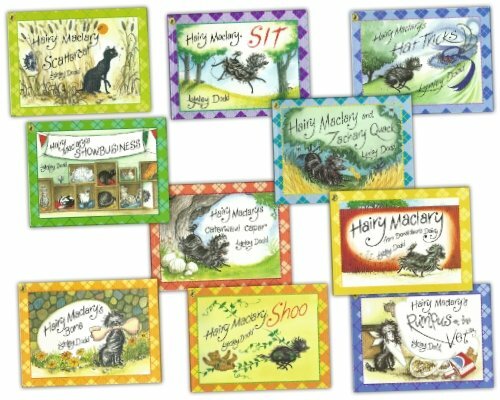 Finally, another series that is worth checking out for your little ones (under fives really) is the Hairy Maclary 10 Books Collection. It’s written by a New Zealand author so technically isn’t Australia-related but it is popular in kindys and daycares over here so if you get your kids into the series before you move then it will be another familiar thing when they’re getting settled over here. Buy the Hairy Maclary 10 Book Collection from Amazon..
Everyone knows Australia is home to some dangerous wildlife (this post is worth checking out about first aid for snake bites). It’s not something that should stop you from moving here or from travelling off the beaten track, but it is important that you and your kids know what to look out for. For this reason, I recommend buying a small guide like Australia’s Dangerous Animals: A Folding Pocket Guide to Potentially Harmful Species. It’s a useful thing to keep on your bookshelf. Check latest prices on Amazon. 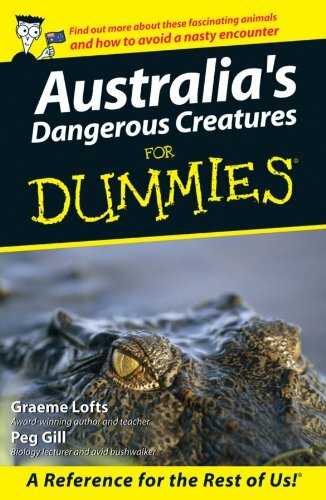 Or Australia’s Dangerous Creatures for Dummies is another handy book to own. Buy it now from Amazon. My twin boys were four when we moved here and although in the UK they picked up EVERY bug or creature they could get their hands on, reading things like these helped them to understand that things were different in Australia and they needed to take care around the wildlife. 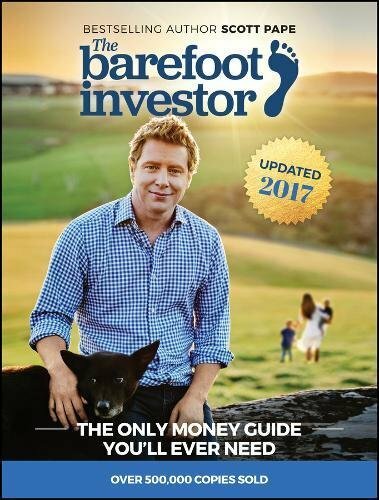 I’ve only just discovered this book, but The Barefoot Investor: The Only Money Guide You’ll Ever Need is something all new arrivals should buy. It goes through getting your finances in order and covers everything from choosing the best super fund and health insurance for your needs to how to organise your debt and pay off your mortgage faster. I LOVE this book and I’m only half way through it. It’s so easy to read and it makes sense of complicated information. I wish I’d bought it before we arrived now instead of waiting until we’d been here almost three years! Make sure you buy it now from Amazon so you can start planning your finances! 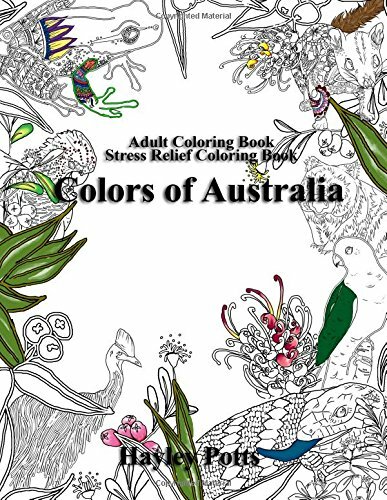 If you want a way to de-stress during the move, what better way than with this Adult Coloring Book: Stress Relief Coloring Book. Buy yours here on Amazon. I’m not much into colouring (I don’t have the patience! 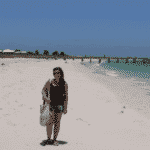 ), but I do love writing so this is more up my street – Travel Journal Australia. 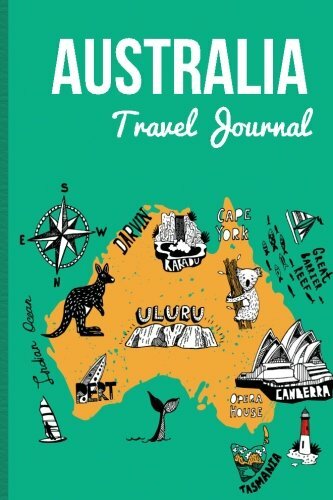 Get your Travel Journal Australia from Amazon. 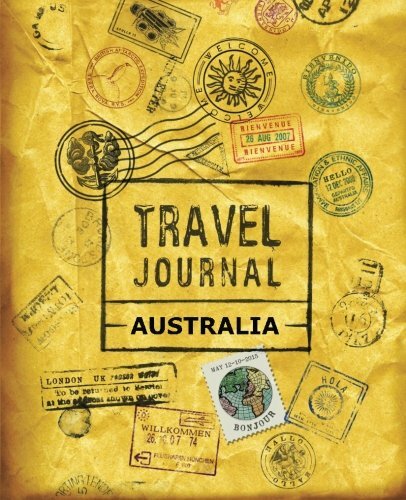 Another fabulous travel journal is the Australia Travel Journal: Wanderlust Journals. Check out the price on Amazon. 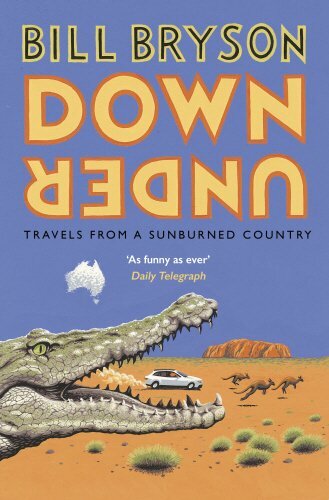 And finally, everyone moving to Australia should read Bill Bryson’s Down Under: Travels in a Sunburned Country . Just because. Get your copy here. 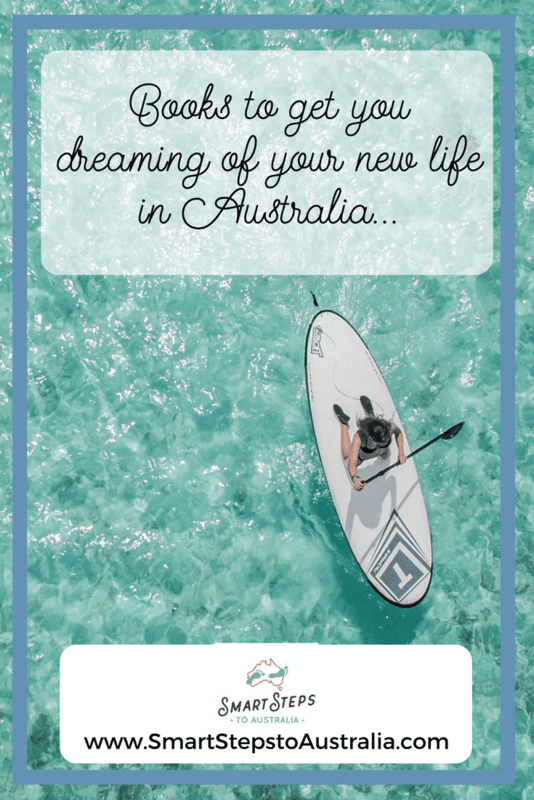 If you enjoyed this post, be sure to also check out this gift guide for people who are moving to Australia. It contains books and lots more! Did you find this list of Australia books helpful? Do you have any favourites that I missed off? If so, please scroll down the page and add them to the comments box below! Did you enjoy this post? Share it with the world! 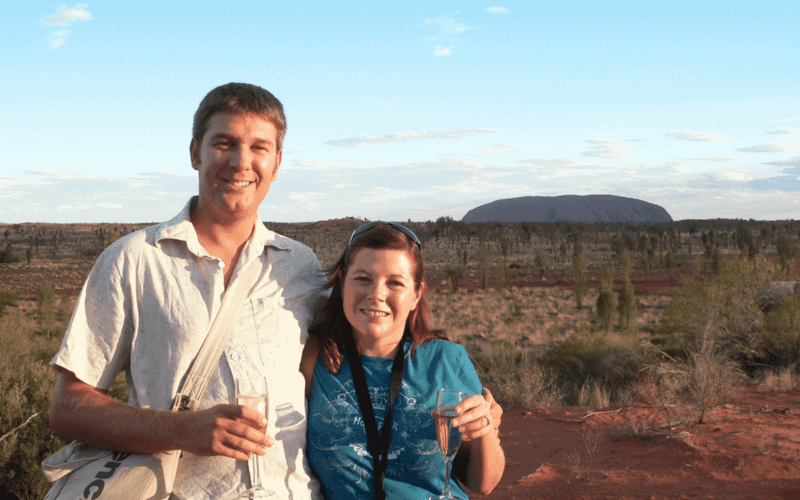 What types of people thrive after moving to Australia, and are you one of them? 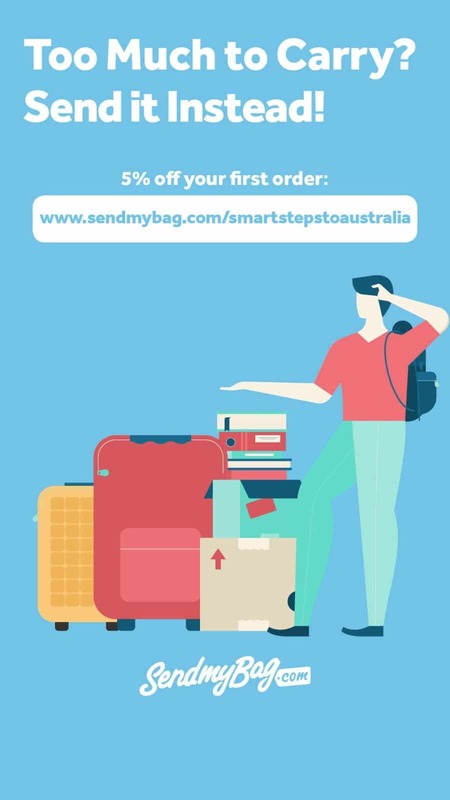 Get 5% discount at Send My Bag through the link below!